For the action sports cinematographer. As an adventure filmmaker, your subject matter is already interesting. It’s how you choose to capture the action and settings you’re working with that can elevate your videos to the next level. Creating engaging and visually interesting films involves incorporating a variety of camera angles and utilizing movement. From aerial shots that deliver a bird’s eye view of the landscape to POV shots that put you right in the action, here are a few tools to consider adding to your kit that will help you capture dynamic footage. 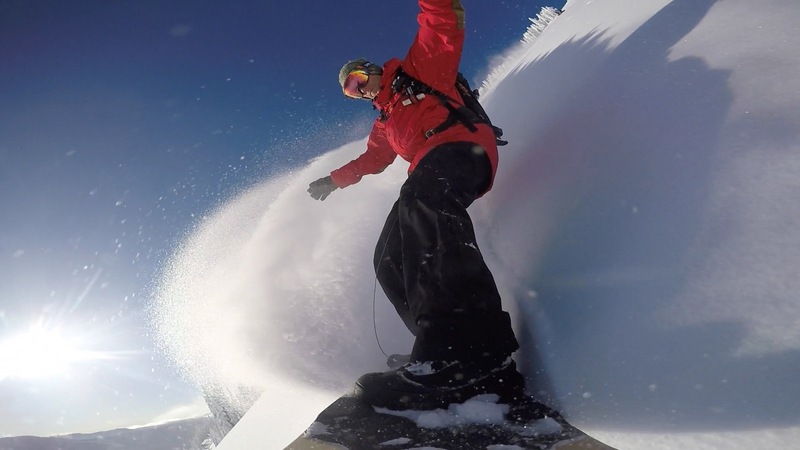 What’s it like to be skiing through overhead powder or about to drop in on a 50-degree slope? Point-of-view shots give your audience the perspective of your athlete. There are ways to mount your DSLR camera to your subjects, but if you don’t want to risk your “A” camera going off a cliff or meeting some other untimely end, it’s best to have a designated – and cheaper – POV camera from the GoPro hero series or Sony Action Cam. Super smooth handheld tracking shots are another way to get close to the action without nauseating your audience with an overabundance of shaky POV footage. You don’t necessarily need a heavy and bulky Steadicam to achieve smooth handheld shots. You can invest in a glidecam or handheld stabilizer to mount your camera to for a few hundred dollars or look into purchasing an all-in-one system, like the lightweight and compact DJI Osmo 4k Camera with a 3-axis gimbal. Nothing says high-end production more than a smooth, cinematic aerial shot and with the advent of drones these shots are more attainable than ever. You won’t need to shell out thousands of dollars hiring a helicopter and specialized camera mount every time you want aerials in your production. Make sure to check with the Federal Aviation Administration before flying your drone to ensure you’re in compliance with the most up-to-date regulations. National parks and forests and other public lands often have strict rules regarding filming and operating drones, which may include obtaining a special use permit or not being able to fly over certain areas, or at all. GoPro’s Karma includes the Karma Drone with the Karma Stabilizer that can be removed and attached to the Karma Grip for handheld shots. The Hero 5 Black camera is sold separately. DJI also makes a number of drones with built-in 4k cameras. Shop and compare to find the right system for your needs. Incorporating time-lapses into your films are another way to include movement and serve as transitions from day to night. Unless your camera comes with built-in intervalometer functionality, you’ll need a timer remote controller to capture the still images you’ll need to build time-lapses in post. Want to learn more? Sign up for classes with the AIM U Adventure Film School. 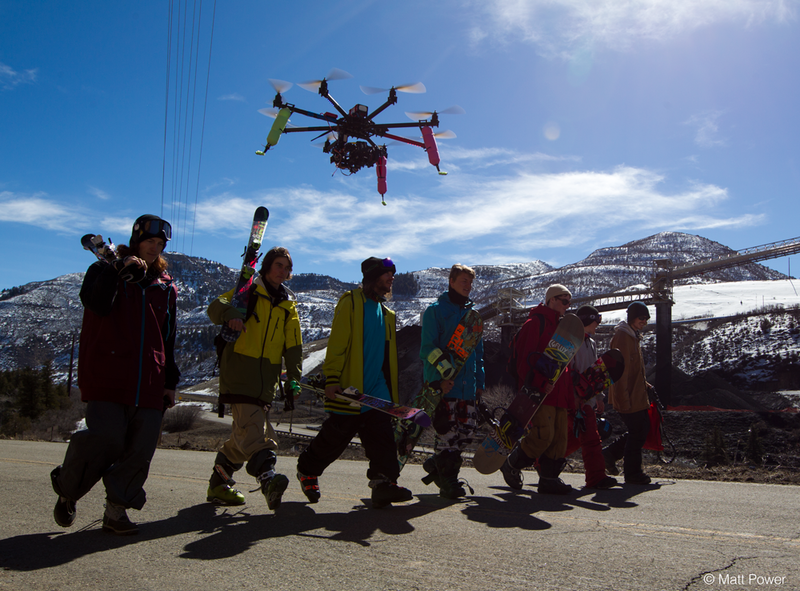 Read other Warren Miller articles about filming tips and production ticks here.